Besides its beautiful beaches and lively clubs, Miami is known the world over for its trendsetting fashion scene. Rivaling established hubs like New York City, Paris, and Milan, the Magic City hopes to become a global powerhouse in fashion with the upcoming Miami Beach International Fashion week, taking place March 19-22 at the Miami Beach Convention Center. Whether you are a fashion lover or just want to keep tabs on the latest trends, the nation’s largest international fashion event is sure to please. What better place to hold such an occasion than a fashionable and stylish city like Miami Beach? Not only will you see some of the latest and greatest in both fashion design, but you can enjoy the many boutiques, restaurants, and clubs that are just around the corner. 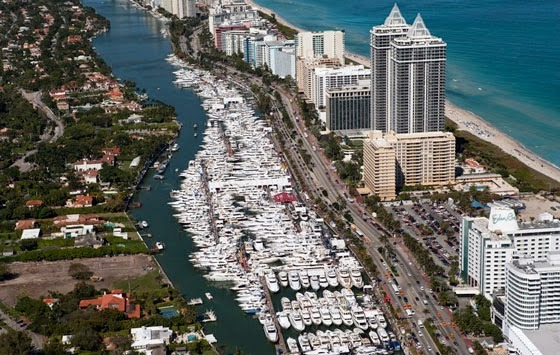 While you are on the neighborhood, why not stop by beautiful Haulover Marina for an exciting trip aboard THERAPY-IV. Few experiences are more worthwhile or trendy than Miami Beach Deep Sea Fishing, with all its fun and excitement, not to mention the views of the city’s iconic skyline. Each Miami Deep Sea Charter Fishing Boat that make up the THERAPY-IV has everything you need for a good time, including big air-conditioned main salon cabins with satellite radio, wide-screen TVs, wall to wall carpeting, and surround sound stereo systems with iPod docking stations; lots of indoor and out seating; nice bathrooms; and a custom-designed barstool seating. While you are aboard, you can reel in some big game fish, including Sailfish, Sharks, Marlin, Dolphin Fish, King Mackerel, Bonito, Tuna, Grouper, Snapper, and many more. No worries if you are new to fishing: our friendly and seasoned crew will be there to help every step of the way. Beginners and fishing enthusiasts alike are welcomed, whether during Fashion Week or elsewhere. For reservations, contact (305-945-1578) or email info@therapy4.com. There are a lot of reasons why The THERAPY-IV has remained the leading Miami Beach Deep Sea Fishing charter for decades: the beautiful climate, vibrant culture, and great people are all big factors; but so is the deeply embedded appreciation of the nautical life, reflected in all the nautical events that take place every year. 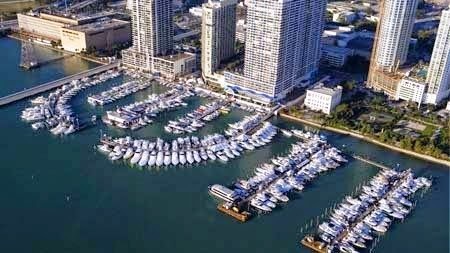 In addition to the Miami International Boat Show we covered in the last post, there is also this week’s 27th annual Yacht and Brokerage Show, taking place in Miami Beach Feb. 12-16. The pristine Indian Creek Waterway adjacent to Collins Avenue, from the 41st to 51st streets, will be transformed into the ultimate boat exhibition. Hundreds of the world’s most amazing and unique yachts and super-yachts will be on display from some of the industry’s premier boat builders. This in-water-only display spans over 1.2 million square feet of space, featuring just about every size, style, make, and model imaginable (including many that are truly one of a kind). This free event couldn’t take place at a better time either: the weather is sunny but cool, with lots of nice ocean breezes – the perfect opportunity to check out this captivating collection of sea vessels. Maritime enthusiasts shouldn’t miss out on this one. While you’re in the neighborhood, consider paying a visit to the beautiful Haulover Marina just minutes north. 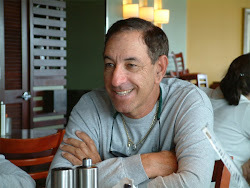 There The THERAPY-IV will be offering a more hands-on nautical adventure along South Florida’s pristine sea. Learn more by contacting 305-945-1578 or info@therapy4.com. While the rest of the country deals with biting cold and snow, South Florida will be as beautiful and comfortable as ever – what better time for the South Beach Wine & Food Festival, the ultimate gourmet destination. Taking place February 19-22, this has been one of the world’s greatest gastronomic events since 1997. For four days, you can indulge in some of the planet’s greatest food and drink, served by award-winning chefs and wine experts, which have included Rachael Ray, Guy Fieri, Bobby Flay, Giada De Laurentiis, Robert Irvine and more. The last two years broke attendance records, with 2015 set to welcome an estimated 65,000 visitors. Choose from over 60 events, including seminars, private dinners, late-night parties, tastings, and more. Highlights includes the Oyster Bash, which pairs various seafood delicacies with fabulous wines; The Amstel Light Burger Bash, a Rachel Ray-hosted contest between 25 of the nation’s top burger specialists; and the Whole Foods Market Tasting Village, which offers a little bit of everything right on the beach. Food Network stars will be hosting several brunches, including Table Brunch with Geoffrey Zakarian and the Southern Kitchen Bruch by Trisha Yearwood. Many favorite chefs and culinary celebrities will have their own 45-minute segments on the KitchenAid Culinary Demonstration stage, followed by cookbook sales and autograph signing. To top it all off, South Beach will offer the ideal backdrop for the festival, with its cool ocean breezes and bright sunshine. There will be plenty of dining options in and around the festival grounds as well. The THERAPY-IV hopes you enjoy this once-a-year event. If you are ever in the neighborhood, stop by pay a visit to our Miami Beach Deep Sea Fishing Charter Boat at Haulover Marina, which offers unforgettable and award-winning Miami Beach Deep Sea Fishing. To learn more, contact 305-945-1578 or info@therapy4.com. In this year's 129th official Groundhog Day, Punxsutawney Phil left his cozy burrow in Globbler's Knob, Pennsylvania, saw his shadow, and broke the unfortunate news that we will be treated to another six weeks of winter instead of an early spring. Lucky for us Floridians, it rarely gets any cold than 60 degrees most of the season. In fact, we are likely to enjoy nothing but sunshine, cool breezes, and an overall temperate climate for the next several weeks – especially those of us located along the sumptuous coast of Miami Beach like The THERAPY-IV. The origins of Groundhog Day are pretty obscure. The first documented reference in the United States is found in a diary entry dated to February 4, 1841. The celebration is believed to have come from the German community of Pennsylvania (known as the Pennsylvania Dutch), which practiced the custom in the southeastern and central parts of the state in the 19th century. However, the roots of this tradition go back to ancient Europe, where many cultures would predict the weather with sacred animals, albeit usually a badger or bear. 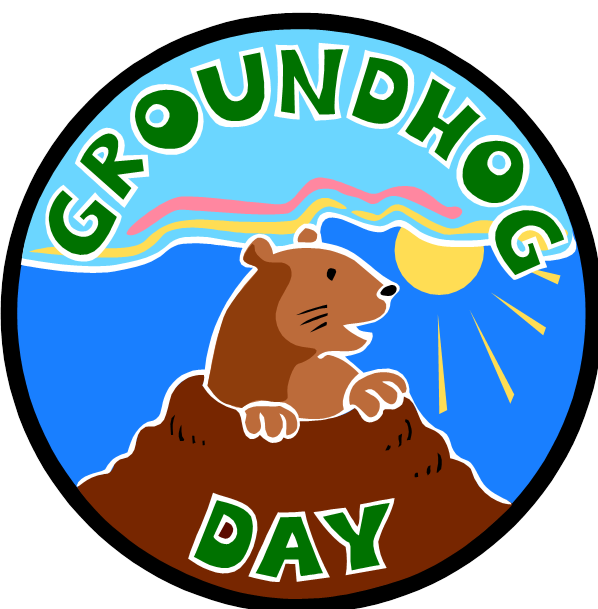 Groundhog Day also shares characteristics with the Gaelic festival of Imbolc, also celebrated on February 2, in which a serpent or badger was watched to see if it would emerge from its den. Whatever the origin of this amusing holiday, the groundhog’s predictions will only go so far in always-sunny south Florida. Whether it is more weeks of “winter” or early spring, it is always a good time for Miami Beach Deep Sea Fishing. Pay a visit to our Miami Beach Deep Sea Fishing Charter Boat, or contact 305-945-1578 or info@therapy4.com.